Unfortunately most of the Openspaces are being used for much more than light use. Based on analysis performed in August and September, Openspaces are being used about twice as much as we expected, in other words being loaded with double the content/avatar load than we’d expect for a region that is supposed to be light use. Nobody truly believes that no one at Linden Lab wasn’t aware of what was going on. I mean, just before that “analysis”, Linden Lab had already decided not to introduce more mainland sims, because they were aware of the reduction of land prices. I’m sure they knew why — after all, openspace sims are not a “secret”, and everybody knows the prices there. Granted, many unethical landowners tried to “pass” their openspace sims for regular sims and cheat that way — and yes, I can fully believe that the situation has gotten worse in the recent past, and that meant lots of complaints to LL by phone, email, or any other means of communication. Since Basic account owners are not entitled to customer support any more, this meant that their technical support infrastructure (specially the human resources) started to get flooded by complaints that simply shouldn’t exist. And the reason was just one: openspace sims were a victim of their own success. […] we will be making changes to the viewer that enable residents to know precisely what type of land or region they are on so that the land market remains as fair and easy to understand as possible. This is actually the best idea (perhaps the only positive one!) on that article, and one wonders why LL hasn’t done it before. After all, we got used to the yellow box saying “The simulator you’ve teleported into is running a different version of the server software”, so that means that the viewer gets this information and can display it. The “viewer changes” are very likely not so dramatic — and could have been done as early as March 2008, since what LL calls the Heterogeneous Grid (a grid running different types of server software) was in place by then. Instead, however, Jack Linden presents a completely different answer: let’s get rid of those 13,000 openspace sims. Now. They’re hurting our business; they’re hurting other landowners’ business by undercutting prices and/or giving land management a bad name due to unethical sales; and they’re flooding our support lines with complaints. This. Has. To. Stop. Now. And stopping it did. By raising the prices to ridiculous amounts, the message that Linden Lab was conveying is that they’re plain and simply dropping that product from their portfolio. Not surprisingly, the 13,000 openspace sim owners, and the (estimated) 50,000 or more residents owning land on those openspace sims were anything but happy. I’m sure that not even LL was naive to the point of believing that they’d be praised to get rid of the openspace sims. If the much-ignored JIRA is any indication, this petition has gotten more than 4,000 votes — an unheard-of number (even “popular” JIRA features usually just get a few hundreds). So one in twelve of the affected residents complained in the only way that LL allows them — through the vote. It’s not trivial to vote on the JIRA, specially if you don’t speak English, so the number of voters is awesome. In-world protests and website articles condemning LL’s completely outrageous policies have reached a level even beyond the old days of the telehub fiasco (granted, many more people are affected today). This was absolutely unavoidable, specially when even the Times Online reported the news. More, proeminent residents like Sarah Nerd got banned because they dared to speak against LL’s new policy (granted, not exactly using the politest terms). In a few days, almost all bloggers and e-Zines and in-world groups discussed LL’s decision, and a bold claim was made: Linden Lab used to back up in the past, so they might do the same thing again, if the protest is strong enough — and, quoting Prokofy Neva, if the protesting crowd knows what they’re going to demand, of course. The anticipation built up nicely. In fact, sharp analysts with a cue to the history of Bad News Announcements could see a hint: the announcement was made by Jack Linden, a usually friendly, helpful, experienced, and highly efficient former-Concierge-now-turned-Head-of-Concierges. Jack, however, is not at the management level of LL — so he could always be overruled by The Boss, if the protests were high enough. Jack did the “right thing” — he launched the discussion on the forums (3,000 replies and counting), he did several in-world meetings (quite well attended; and some were invite-only); he probably got a million emails and two million IMs, most of them of the “f**k you” variety, but very likely a few constructive ones as well. A few issues were, after all, a bit over the top. One thing is the price change, which, as we all know, is always a huge drama — no matter if the prices go up or down, of course (land prices, either going up or down, will cut deeply into real estate managers’ profitability, so they’re the first to complain). The other issues were the “no grandfathering” and “no refund” policies, which border on unethical business behaviour. Even more dramatic was the exclusion of openspace sims from the usual discount for non-profits and universities. And even the whole tone of the article was slightly rude — as if residents, the good paying customers of Linden Lab, were suddenly a gang of mobsters that needed a spanking. He seems pretty furious that residents are having fun on openspace sims and “disturbing the grid”. Jack’s handling of the situation was anything but a masterpiece in public relations. Cue to November 5th, and The Boss, M Linden, steps in. 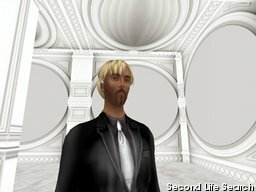 Facing his first serious crisis in resident diplomacy, he decides to call his article “A Letter to Second Life Residents”. Notice the style: he’s the boss, we’re the residents (more on that later!). He starts patiently to explain that the openspace sims were a “premature” product (my word, not his) — LL was aware that it would/could be misused by most, but they felt the pressure for a low-cost alternative to a full sim, so they launched the openspaces sim instead. M Linden also recognises that a few people really just want some water or forest for a cheap price (one wonders how many openspace sims are, in fact, being used like that. A hundred? Two hundred? Definitely not much more). He also sort of waggles his accusing finger to the residents that are not using openspace sims “as LL intended”, but acknowledges that having a low-cost alternative is not a bad idea. And then, instead of reverting Jack Linden’s earlier statements, in a show of brave comradeship towards a fellow colleague, he just rolls out a new product. So, the good news: if you’re a proud owner of an unused bit of ocean or forest, be happy! Linden Lab will continue to allow you to pay the usual fee of US$75 to keep your bit of unused space on the grid. Fair’s fair, and the Good Boys and Girls will continue to enjoy a fair price. If you have been a Bad Boy or Girl, and actually did put your openspace sim to good use, instead of laying it waste — bad news. You’ll have to pay more for the privilege of actually using a service that LL provided — the same service, but with a severe cut in the number of prims and simultaneous avatars that can be in your land (and soon scripting limits too). The price change will not go up immediately, but be phased in two steps. Residents did some quick calculations and it means that the cost-per-prim in the new “Homestead” sims will be about 500% more expensive than on regular sims. Now that’s a wonderful inversion of economics: give people less service, restrict it way more than before, and increase the prices. Legal Writer: Does anyone feel that LL’s conduct rises to the level of an unfair and deceptive trade practice? Let’s see about the motivations later, but for now, one thing is pretty obvious. While unused openspace sims are not an issue (as said, I can’t believe there are really more than a hundred or two hundred of those around), Linden Lab does not want residents on openspace (or “homestead”) sims any more. They’re to go away. Now.